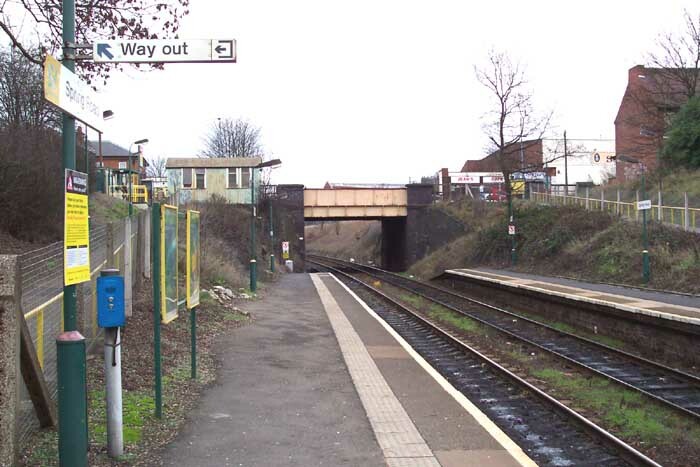 Spring Road opened as 'Spring Road Platform' under the GWR in 1908 upon completion of their North Warwickshire Line. 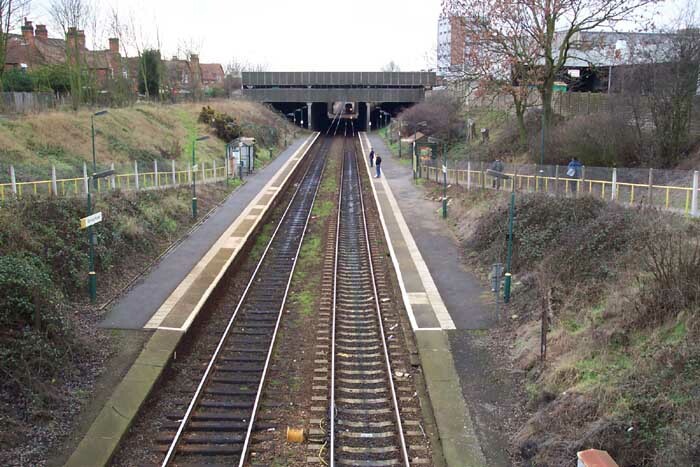 The current Spring Road station is in a slightly different position from the one opened in 1908 however, the original being where the over-obtrusive multi-storey car park straddles the lines today. 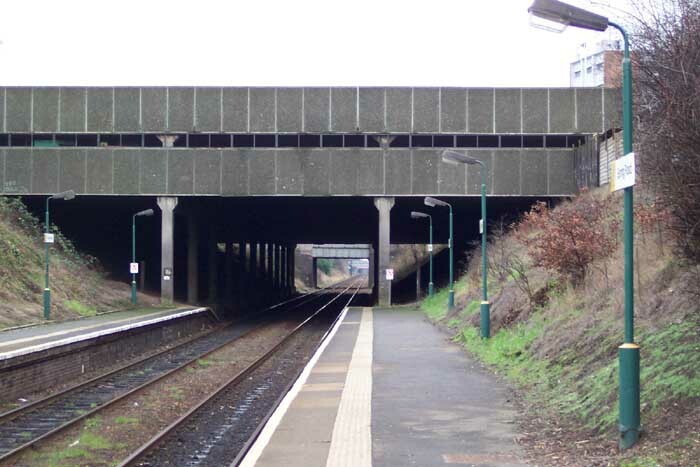 Above we see the entrance to the Birmingham platform on Spring Road. 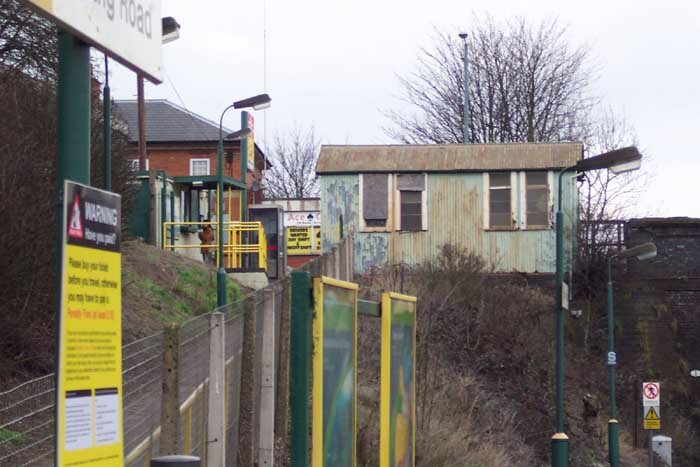 The green and rather uninviting 'alotment shed' used to be the ticket office but now it is disused and a portakabin has been erected for this purpose just the other side of it and out of shot in this photo. Above-left we have moved back a few yards from the photo at the top of this page so as to get a perspective on the two entrances to the station - one either side of the Spring Road bridge. Above-right we are standing on the Spring Road bridge looking in the direction of Stratford with the multi-storey car park looming in the distance. Above-left is one of the oddest sights I have encountered thus far - the multi-storey car park that spans the tracks is not of railway build or usage but privately owned by a factory which encompasses part of the surrounding area! It is rare for approval for such structures to be given by BR/Railtrack (and I suppose Network Rail will be no different). 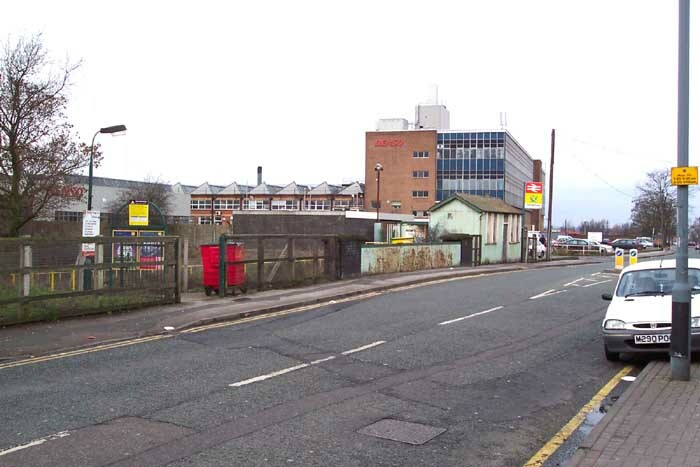 Above-right we are in the same spot as the previous shot but looking in the other direction towards Birmingham and can see the Spring Road overbridge and, to the left, the pathway leading back up to the 'alotment shed' and current ticket office. 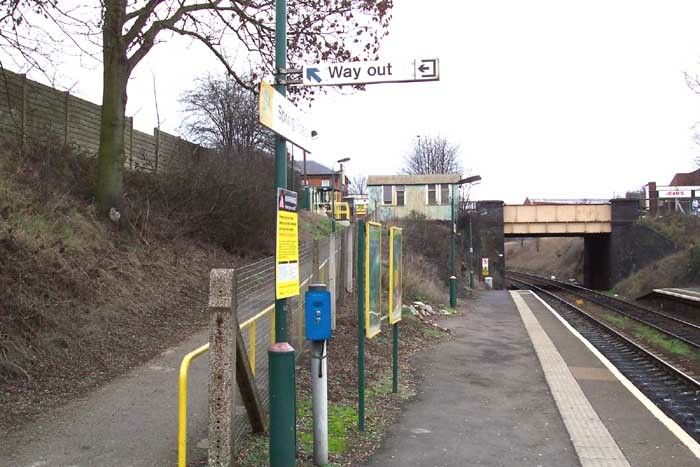 Above-left is a similar perspective to the previous shot but also includes the entrance pathway to the Stratford platform. 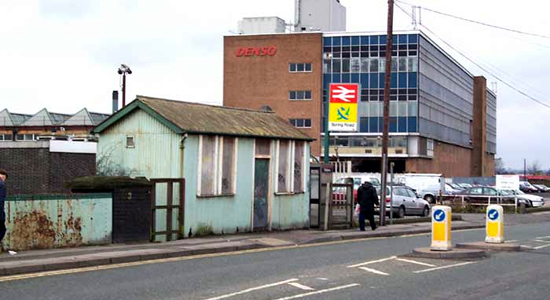 Above-right is a close-up of the back of the 'alotment shed' and current ticket office to the left. All-in-all, Spring Road is a rather odd station and worth a look if you are in the area but I certainly wouldn't recommend a special visit.